A spicy variant on the Old Fashioned, a tribute to John McClane and a terrible pun. Right click and save the image to import into Highball. Gently stir the bourbon, maple syrup, bitters and cayenne with ice to chill. Be careful not to chip the ice and water down the drink. 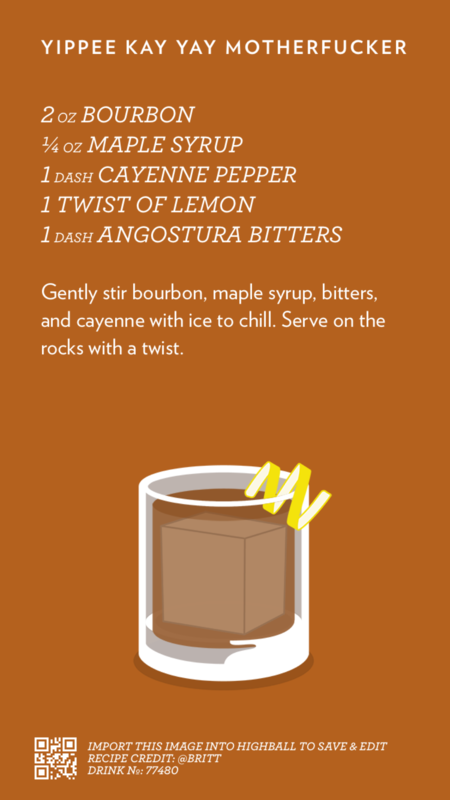 Serve on the rocks with a twist of lemon.